Ontario Shores Centre for Mental Health Sciences may have difficulty finding enough nurses to replace the 28 Child and Youth Workers it gave layoff notices to in December. The layoffs call into question the future of the Adolescent Resident Rehab program which cares for youth from across Ontario. The Whitby psychiatric hospital has posted vacancies for six registered nurses and 12 registered practical nurses to replace the CYWs. This is on top of current vacancies for more than 57 nursing positions at the hospital. That means Ontario Shores is presently seeking to fill 75 nursing vacancies. Given the 28 Child and Youth Workers are expected to work their last day by April 13th, it doesn’t give the hospital much time. This is further complicated by a high level of turnover of nurses and other professionals at Ontario Shores – a situation some staff are describing as a crisis. While new nurses may arrive to begin filling the large numbers of vacancies, the hospital appears to be absent of a strategy to stop those they already employ from walking out the door. With too few professional staff, workload accelerates as does the level of burnout and frustration and further turnover. 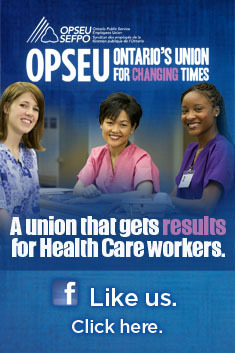 Some nurses have confided to the CYWs that they don’t feel comfortable taking over their jobs. The training for an RN and RPN is very different from the three year program the Child and Youth workers graduate from. Come April, the future of the program may be in doubt. This entry was posted in Health Care Professionals, Hospitals, Mental Health. Bookmark the permalink.